This fabulous vase was made during the Art Deco period by the French company Daum. 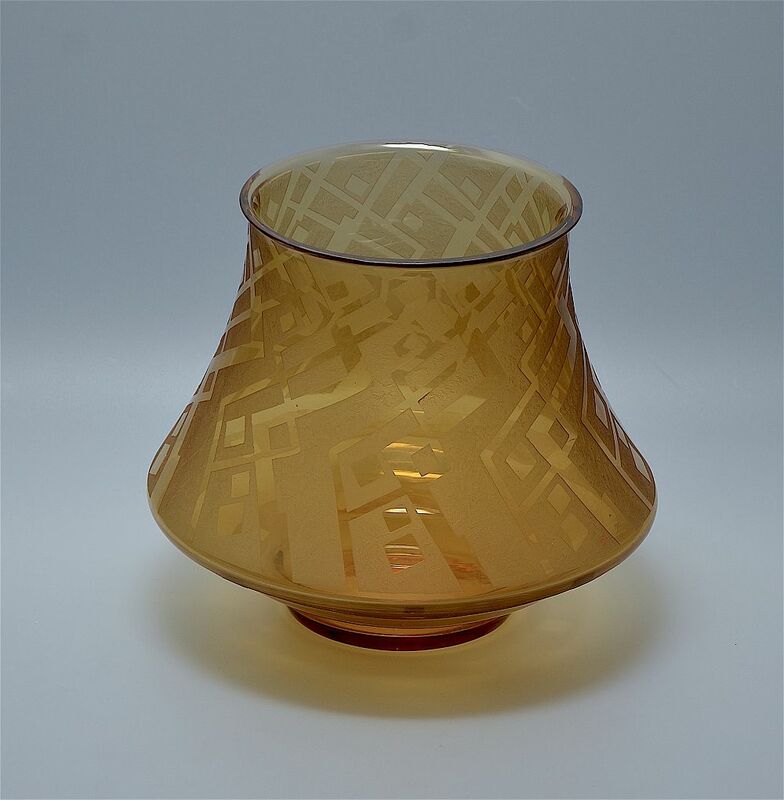 The flared/ conical shaped vase has an acid etched geometric pattern and is amber coloured. The side of the base is signed "Daum Nancy France" and has the Cross of Lorraine mark. A lovely decorative piece that displays beautifully with the cognac oversized Daum vase and the cognac Daum shallow footed bowl that are on the site. Good with rubbing and some scratches to base consistent with age and use but otherwise no nicks or chips.